Modern fish farming based on recirculation aquaculture systems might be the next Finnish global success product. The Varkaus based Saimaan Tuore has developed an entirely new way of fish farming in the clean waters of Lake Saimaa but indoors. Fish in Finland is increasingly grown indoors, neatly under a roof. This is enabled by the recirculation aquaculture system that has evolved significantly in the 2000s. The principle is simple: water is being circulated by pumping it between the fish tank and the cleaning equipment like in an aquarium. This enhances fish health and reduces the environmental burden of fish farming. In a recirculation aquaculture facility purified water is pumped into large, round, plastic or concrete tanks. The water is circulated from the tanks into the water purification system where the solids and the nitrogen produced by the fish are filtered out. Next the water is disinfected, ozonised, oxygenised, and the temperature adjusted before it’s directed back into the tank. 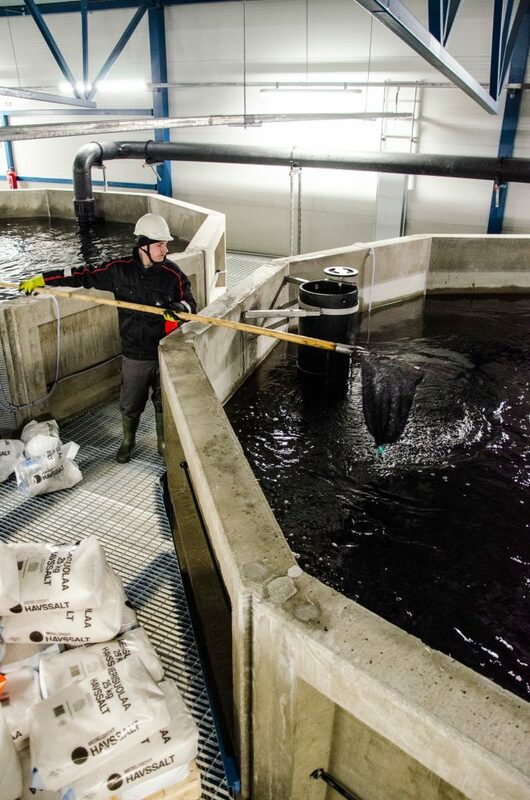 The Varkaus based Saimaan Tuore’s recirculation aquaculture facility opened in February 2018 and it’s a prime example of the method’s eco-friendliness. It was granted an exceptionally generous environmental licence with a production allowance of 1 million kilos. The Finnish environmental policy is strict in order to avoid adding to the nutrient pollution of the Baltic Sea. At the same time the demand for domestic fish exceeds the supply. Therefore the ecological recirculation method has a central role in increasing the Finnish fish production. The recirculation aquaculture technology is very technical and expensive to build, but it comes with significant benefits. The living environment of the fish can be made optimal for the growth of the fish and the nutrient pollution caused by the farming is minimal thanks to the water circulation and purification. At the Saimaan Tuore facility all the outgoing water is directed to the Stora Enso paper mill’s water treatment plant. The Varkaus based fish farm is self-sufficient as the rainbow trout roe and fry come from the farm’s own facilities in Hollola and Huutokoski. This enables control over the quality and production at every step of the production cycle. The high and even quality of the fish is guaranteed by continuously optimised sanitation and temperature. Saimaan Tuore’s policy is to get the fish to the market as fresh as possible. Within an hour the rainbow trout are packaged as boneless fillets ready to be dispatched. The Saimaan Tuore product development has taken the preparation of the fish into consideration and made it as easy as possible. The rainbow trout is sold in packets of one or two fillets. One 170 gram fillet is just enough for a single person or a couple, the two fillet packet is perfect for a family of two adults and two children. Fish sold in portions reduces food waste, but it’s also the optimal size for the best cost-benefit ratio between fish growth and feeding. With preparation time of just few minutes the fillets are true fast food. Aquaculture has been researched and developed in Finland for over 40 years. Finnish recirculation technology, feeding systems, and genetic selective breeding are all among the best in the field. This knowhow is easy to export globally. This Finnish knowhow and fry material have been the basis for a development project in Vietnam where the aim is to establish a new trade for Vietnam’s poor mountain regions. Finnish knowhow and fry material have been in demand in Russia as well with the promotion of aquaculture in the Russian Karelia. With their Russian business partner Saimaan Tuore have been looking for a place for a facility between Moscow and St Petersburg where there are over 60 million consumers within a radius of under 200 kilometres. Saimaan Tuore’s parent company Finnforel Oy is owned by Arvokala Oy (Kaj Arvonen), Tukku Heino Oy (Petri Heino) and Aii Corporation Oy (Pekka Viljakainen). Saimaan Tuore’s CEO Jarkko Alho and Aii Corporation’s Pekka Viljakainen see great export potential in their product. The facility model is easy to copy and take to where it benefits from synergy with industrial facilities. A recirculation aquaculture facility is not tied to the environmental conditions and therefore it can be taken closer to the consumers. Saimaan Tuore wants to bring fresh, healthy and eco-friendly fish back to the Finnish tables. Their aim is to become the best-known fish brand in Finland by 2020 and to build new aquaculture facilities abroad. 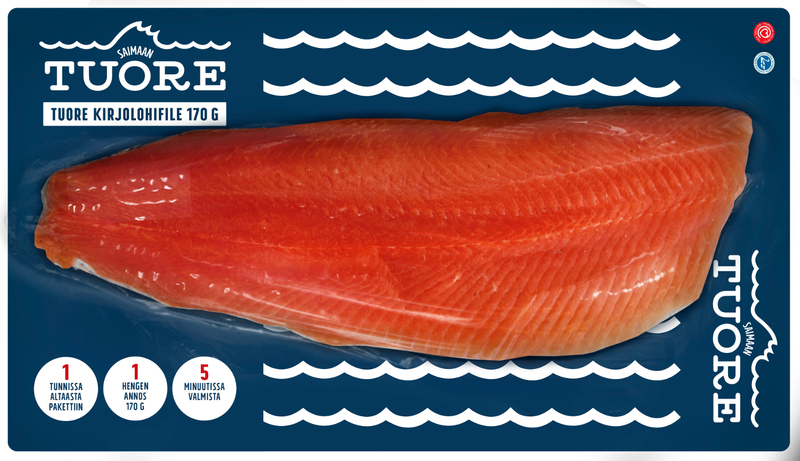 Saimaan Tuore rainbow trout is sold portion sized in packages of one or two 170 gram fillets. One-fillet packages were introduced to the market first. 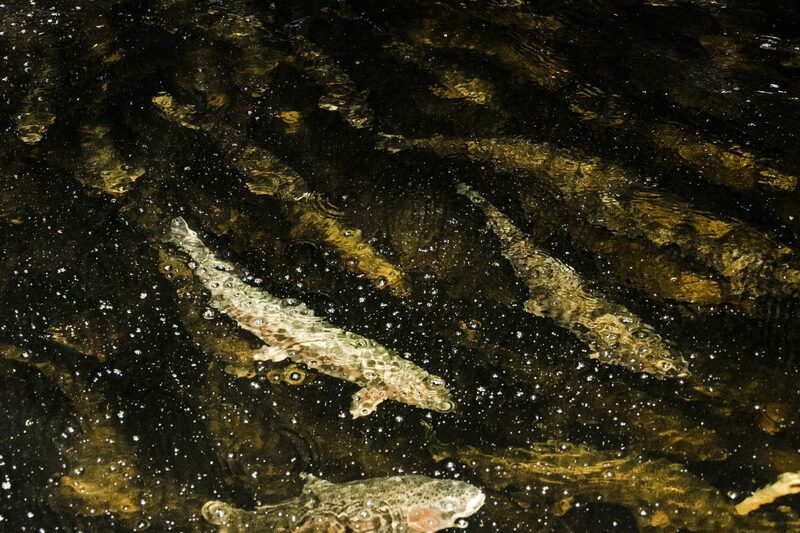 The rainbow trout grow in a Varkaus based recirculation aquaculture facility where the already pure water from Lake Saimaa is continuously purified. This improves fish health and reduces the environmental burden of fish farming significantly. Feeding of the fish is carefully optimised to allow for steady fish growth and the highest possible omega-3 fatty acids content in the flesh. The growing process is divided into three parts between Hollola, Huutokoski and Varkaus. The annual production capacity is 1 million kilograms. The Saimaan Tuore parent company Finnforel Oy is owned by Arvokala Oy (Kaj Arvonen), Tukku Heino Oy (Petri Heino) and Aii Corporation Oy (Pekka Viljakainen). Jarkko Alho is the CEO.